Turin is a city of mystery, magic, and legend. Its history is riddled with myths and mystical figures who have passed through. Secret caves, cryptic messages, symbols written in stone, groups such as the Freemasons, the Turin Shroud, the Holy Grail, and more all contribute to its mystery. Its “magical” significance is often attributed to its geographic positioning, along the 45th parallel where the Po and Dora Rivers meet. More importantly, it creates the vertices of two triangles of influential magic with other cities – white: Lyons, Prague, Turin; and black: London, San Francisco, Turin. I’ve always been fascinated with the mysteries of Turin and this black/white polarity, and I’ve wanted to write a post on it for a long time. But every time I start researching, I bury myself in references, tangents, articles, and links. What tradition?! What’s the basis for it? Who told you it was tradition, and who told them? But that’s the nature of legends and myths. Their intangibility is what makes them fascinating to us; their mystery and whispers of something hidden, somewhere deeper (and the darker, the better) is what feeds these stories so they are passed on down through time. 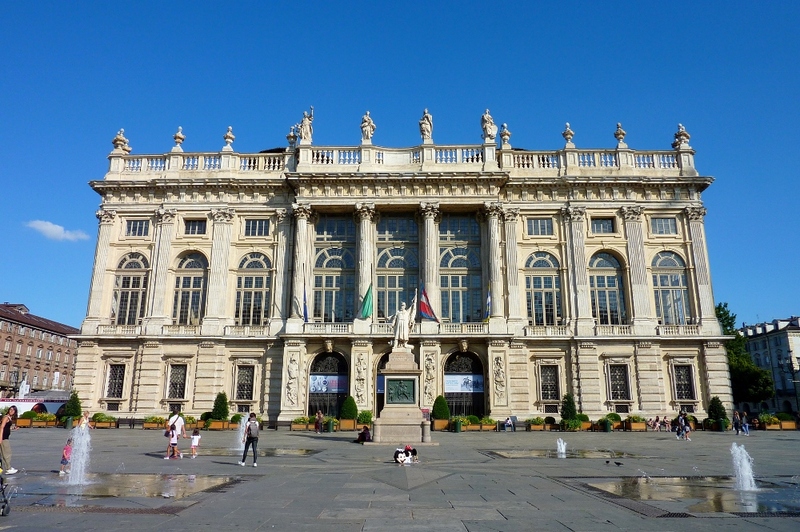 For the August Blogging Piemonte post of Royalty in Piemonte, I decided to finally nail down some research into Turin’s esoteric legends – sticking solely to the royal Savoy family and, specifically, the legend of the Alchemical Caves (Grotte Alchimiche). The three alchemical caves of Turin are said to exist in an underground labyrinth in the vicinity of Palazzo Madama and Piazza Castello. There, in the mid-1500s, the Savoy family allowed “scientists” to undertake secret experiments in alchemy. The scientists, philosophers, and magicians who came were ultimately looking for the Philosopher’s Stone. The Savoy family, one of oldest and most powerful monarchies in Italy and the world, is said to have been quite interested in alchemy. According to legend, Maria Cristina, wife of Vittorio Amadeo I of Savoy, built Palazzo Madama according to master alchemists’ advice. Apparently, when she became regent after her husband’s death in 1637, the alchemists divulged the secret of the whereabouts of the cave entrances to her. What attracted alchemists to Turin in the first place? Beyond its confluence of powers, geographical positioning, and other elements that converge to make the city “magically” ideal, it is said that Apollonius, a philosopher of Ancient Greece, hid one of his powerful talismans in the third, and most secret, cave. Apollonius was not the only famous figure to pass through Turin. Many others were drawn to the city, as well, such as Paracelsus, Cagliostro, Erasmus of Rotterdam…and Nostradamus. This seer and alchemist apparently came to Turin in 1556 under the request of Emanuele Filiberto and Margherita of Valois, who remained childless. They wanted Nostradamus’ help to produce an heir for the throne. 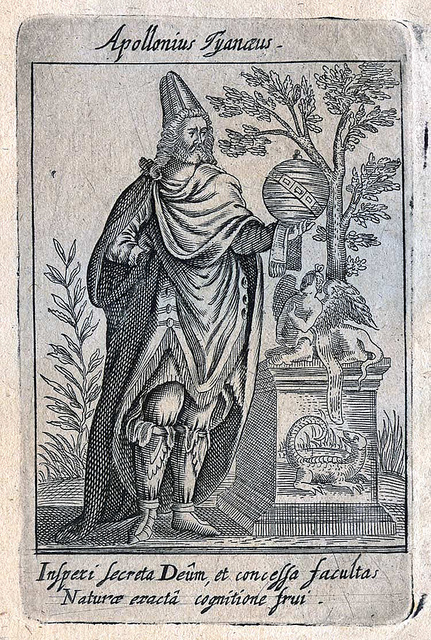 The seer stayed around for a bit, probably trying to make the Philosopher’s Stone and creating all sorts of prophecies, and when he left, Carlo Emanuele I was born. Instead, we’ll look at the two big names first: Apollonius and Nostradamus. Who were they, and what were they doing in Turin? What – did you think there would be a document signed by Apollonius saying he was present in Turin and left his talisman in a cave? Legends, people. Nothing is certain. You may not recognize the name Apollonius, but you’ve surely come across Nostradamus, whether or not you know who he was. 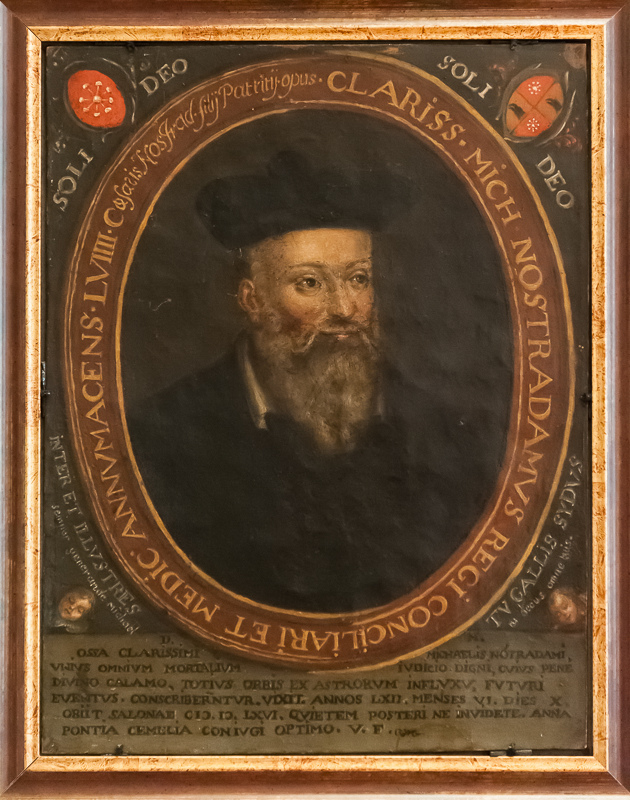 Nostradamus was a French apothecary and reputed seer who was best known for his prophecies that are still famous today. His first published book of Prophecies was released in 1555, and it is still in print today. What really drove me crazy were the dozens of written accounts about the caves with vague explanations like: “they would have their entrance at” or “tradition says you could access them at…” Do these caves really exist? In 1978, writer Giuditta Dembech interviewed a practicing master alchemist named Gustavo Adolfo Rol in the city who confirmed yes, they existed, and he knew where the entrances were. I looked to Fezia for more explanation on the caves, and again, nothing certain is known – else we’d all have the Philosopher’s Stone by now, wouldn’t we? According to Fezia, the entrance to the first cave is in the gardens of Palazzo Reale (closed to the public) at the fountain of tritons and nymphs. Excavations done for the 2006 winter Olympics revealed underground walls with strange markings. At exactly that point in the excavations, funds ran dry. The royal gardens remain closed to the public today (what markings? Why were they strange? I’ll let you know when I find out). As one gets closer to the more secret second and third caves, of course it becomes more difficult to find the truth. There may be entrances under Palazzo Madama, the oldest crypt of the Church of SS. Annuziata, Via Po, and even under the Castle of Rivoli. The many points of access that lead nowhere are meant to confound the uninitiated. There is a lot more where all this comes from: Tunnels were discovered during the Olympic excavations and lead from Corso San Maurizio straight to the gardens (Elena Perotti); a tunnel as wide as two horse-drawn carriages leads from Castle Rivoli to Palazzo Madama (Massimo Centini); and more. Writing about this has only opened up more questions. I mean, why didn’t the construction workers head down the tunnel in 2006? I would’ve been like, “So long, guys! Going explorin’.” Plus, there was already an extensive underground defense network (which saved the city from the French invasion of 1706 – take a tour in the Pietro Micca Museum to get the full story!) of 14 kilometers. Are there any accounts of soldiers running into unknown caves or tunnels from that period? Legends hold sway over our imagination because so much remains unknown. This is definitely an ongoing research for me! I should probably get an Archaeology degree so I can start digging around. About every month, the Blogging Piemonte group will meet to talk and decide on a topic we’ll all write about, from food and drink to travel and life in Piemonte. Follow along with the hashtag #BlogPiemonte! Are you a blogger who lives in Piemonte and writes in English? We’d love to have you join Blogging Piemonte! Just send me an email at diana.zahuranec [at] winepassitaly.it. It doesn’t matter if you also blog in another language, as long as you post the Blogging Piemonte articles in English. Centini, Massimo. Guida insolita ai misteri, ai segreti, alle leggende e alle curiosità dei castelli del Piemonte. Newton & Compton, 2001. Online Google books. Fezia, Laura. Misteri, crimini e storie insolite di Torino. Newton Compton Editori, Oct 24, 2013. Online Google books. Perotti, Elena. Turin: City of Mystery. http://www.wan-ifra.org, May 28, 2014. Wilson, Ian. Nostradamus: The Man Behind the Prophecies. St. Martin’s Press, Apr 1, 2014. Online Google books. I saw Profondo Rosso! Classic. Turin’s reputation for mystery/occult/magic began before the film, and Dario Argento was probably drawn to that, but everything definitely adds up to Turin’s mysterious reputation. Lovely blog, Diana. I look forward to vicarious travels across Italy. Thanks! 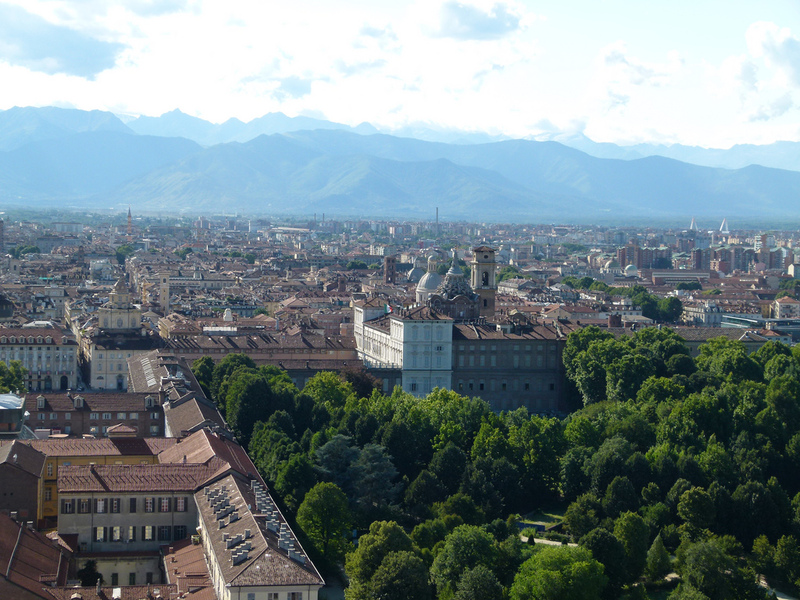 Turin is a city where no one thinks to go, but when they do they love it. I heard so .. Do you follow Turinepi blog? Yes! Lots of good info on Lucia’s blog. Next Next post: Why do you write?